Take Advantage Of The Cloud By Paying For What You Need — Not What You Don’t! Alchemy is proud to offer a completely customizable software solution. If you’ve been looking for custom application development, we have the experience and expertise you need. Whether your needs are internal or customer-facing, Alchemy takes the time to learn what your business needs before we build custom developed software that specifically address operational inefficiencies. Alchemy is not only a provider of custom software for businesses; we are also a cloud computing provider. This is because our aim is to provide a comprehensive solution that addresses the unique shortcomings and areas of opportunity that each organization is faced with. Because no two businesses are exactly alike, we decided to separate ourselves from the competition by providing entirely custom cloud services for business. Below, we highlight how our cloud-based services contribute to our clients’ ROI in tangible ways. 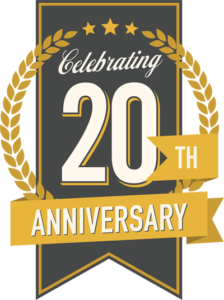 Alchemy is proud to be able to boast two decades of FileMaker development experience. While this length of experience is rare to be sure, perhaps the most distinguishing quality we possess is our ability to provide our customers with elegant yet powerful solutions which fit any need. What’s more, the cost of development and deployment is dramatically less than “big iron” enterprise databases. Our developers offer specializations in areas that include customer relations management (CRM), point of sale (POS), manufacturing, service-oriented business, and numerous other elements of business operations. But irrespective of our wealth of experience, we make a point to begin every customer relationship the same way — by listening. First, we take the time to understand how your business works and what operational inefficiencies we can address. Then we build a system that integrates with your current platform while enhancing your existing processes. And, while we recognize that undergoing the transition of incorporating custom software can be daunting period for you and your workforce, rest assured that we will guide you through each step of the process. At the end of the day, we don’t think you should have to sacrifice quality for value. To receive both and more, schedule your free consultation with The Alchemy Group at your convenience!